Pinterest is creating buzz all over the internet. This relatively new social networking site is based around its users sharing (“pinning”) images and videos from all over the internet. These images are pinned with a link to the source website embedded within them, so when a Pinterest user clicks on the image, they are taken to the website the image came from. Fellow users can then reshare (“repin”), comment upon, or “like” what has been posted, creating yet more backlinks to the original website. Pinterest’s use as a source of backlinks is clear, yet many webmasters do not know how best to harness the power of this social media site. They are missing out! Pinterest is driving immense amounts of traffic, moreso even than Twitter, and its user numbers are expanding at an impressive rate. Ignoring this network means you are missing out on traffic, visitors to your site and potential customers. 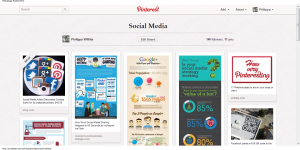 So, how should a business promote themselves using Pinterest? aspirational photos – many people are using the network to post pictures they find which fit their ‘ideal house’ dream, or ‘perfect wedding’. Think creatively and build an aspirational board for your business too. Don’t just self-promote. Like anywhere else on the web, you need to provide value to your visitors, so make your Pinterest account irresistible by filling it with wonderful content: from your own site and elsewhere. The second stage is to make your website “pinterestable”, by which I mean encourage your site visitors to pin your images or videos. If you already have links on each page of your website to “tweet this”, “like this on Facebook”, “+1” etc. (and you should have! ), then add a “Pin this!” button too. Making it as easy as possible for your site visitors will increase the likelihood of them sharing your page. The “Pin this!” button can act like a call to action, reminding readers that they can share your page. Additionally, make your images compelling. Whereas some users might pin a page purely for the quality of the writing, Pinterest’s focus being so strongly on the visual means that many users pin images purely for what they look like, regardless of the rest of the page. Making sure that every page of your site, and every blog post, has an image that people are likely to adore, and want to share with their friends, vastly increases your chances of getting “pinned”. If the image is really great, then it will be repinned numerous times, creating multiple backlinks to your website. Having a website which users want to share on Pinterest presents you with a wonderful opportunity. Easy, good quality backlinks, as well as new visitors to your website, are within reach with just a little thought and planning. Ignoring Pinterest’s potential, on the other hand, will mean you are missing out. Early adopters always do the best on social networking sites, and although latecomers can still make an impact, the sooner a business owner can learn how to take advantage of a new form of social media, the better they tend to fare. 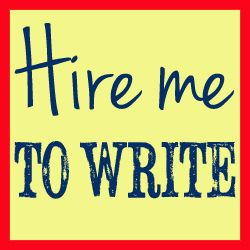 Check out my Writing Pinterest board and my Social Media Pinterest board. Tagged business, marketing, pinterest, promotion, social media. Bookmark the permalink.